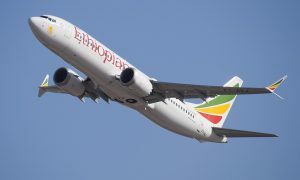 Ethiopian Airlines announced that preparations are being finalized to launch service to New York’s JFK airport by the end of June. Flights from Addis Ababa to JFK will depart Tuesday, Thursday and Sunday mornings, and will return from JFK to Addis Ababa the same evening. Flights will make an intermediate stop in Lomé, home base for Ethiopian Airline’s partner ASKY Airlines, in both directions. Passengers from New York will enjoy faster flight options to a variety of cities with this new flight. 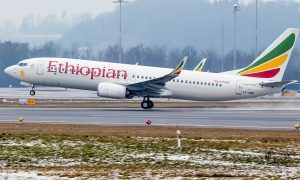 There will be three weekly one-stop flights between New York and Addis Ababa, headquarters of the African Union and capital of one of the fastest growing economies in the world. There will be connectivity beyond Addis Ababa to and from major economic and tourist destinations in East, Southern and Central Africa and the Middle East, including Nairobi, Entebbe, Dar es Salaam, Kigali, Khartoum, Jeddah, and Riyadh. 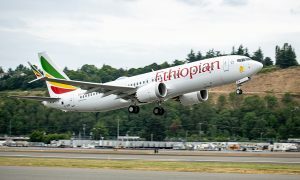 There will be connectivity between New York and many cities in West Africa with Ethiopian’s partner ASKY Airlines, via Lomé, including Lagos, Abidjan, Dakar, Libreville, Douala, N’djamena, Kinshasa, Bamako, Conakry, Ouagadougou, and Niamey. Ethiopian will be deploying the most modern aircraft in the world on this flight, the Boeing 787 Dreamliner. Ethiopian’s Boeing 787 Dreamliner is configured with 24 business class and 246 economy seats, all of which are equipped with on-demand video monitors featuring a variety of entertainment options. Ethiopian is a global carrier serving more than 92 international destinations across 5 continents and operating the youngest fleet in Africa with less than the industry average age of 5 years. The airline is expanding to new destinations, and in the past year has introduced service to Tokyo, Manila, Dublin, Los Angeles, Cape Town, Durban, Gaborone, Yaoundé, and Goma.